Stirling originally operated its poor relief system independently of other parishes. In around 1865, it was joined by St Ninian's to form the beginnings of the Stirling Combination. Kilsyth joined in around 1866, later followed by Alloa, Alva, Clackmannan, Denny, Dunblane, Dollar, Tillicoultry, Tulliallan, Kirkintilloch and, for a while, by Kilmadock. The total population of the member parishes in 1881 was 71,354. Stirling erected a poorhouse in 1856-7 between Bridge Street and Union Street at the north of Stirling. Its location and layout are shown on the 1922 map below. The design followed the layout typical of smaller Scottish poorhouses. A small porter's lodge lay at the south of the site. The main building was originally a simple H-shape with its larger range facing to the south. At its centre would probably have been the Governor's quarters with the dining-hall and kitchen behind. Separate male and female accommodation was provided at each side. The smaller rear range of the main building housed various utility rooms and workshops. Smaller blocks to the north may have housed an infirmary and school. By 1922, the north of the workhouse had been redeveloped with the addition a third parallel range connected to the main building at the centre. Protrusions at the rear may have been circular padded cells. Stirling from the south, 2001. Stirling from the north-west, 2001. Stirling from the north-east, 2001. 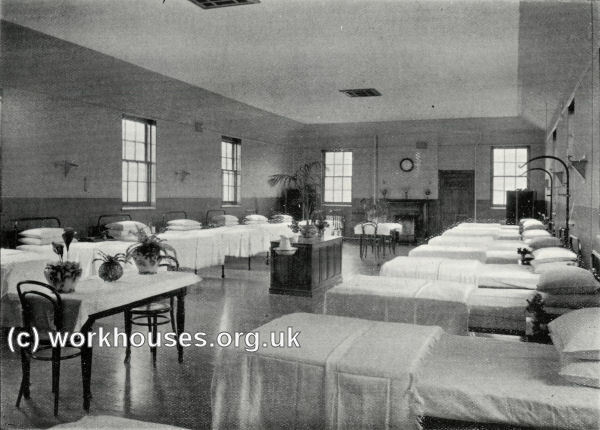 Stirling Combination Poorhouse hospital ward, early 1900s. The former poorhouse site is now occupied by a small hospital and health centre which appear to include some of the old poorhouse structures. In 1900, a 76-bed hospital was added to the poorhouse. After 1930, the poorhouse became known as Orchard House Poor Law Institution. Many of the poorhouse buildings have been demolished. A day hospital still operates on the site. 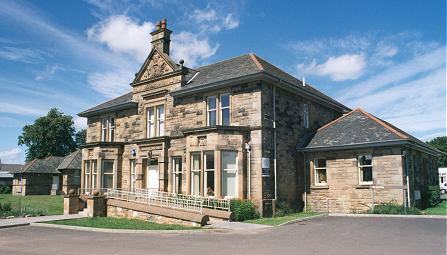 As well as operating a poorhouse, in 1903 Stirling Combination erected a hospital at the north side of Drip Road to the north-west of Stirling. 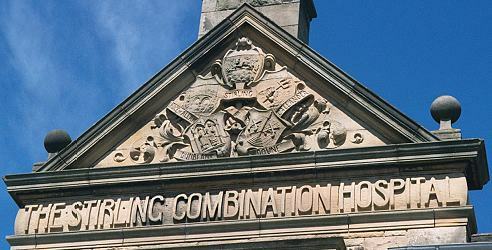 Stirling Combination hospital administration(?) block from the south-east, 2001. The Combination is believed to have operated a small home for up to six children at Park Street, Alva. Stirling Archives, 5 Borrowmeadow Road, Stirling FK7 7UW. Holdings include: Unlisted papers from Hill & Robb (local solicitors) relating to Stirling Combination Poorhouse.